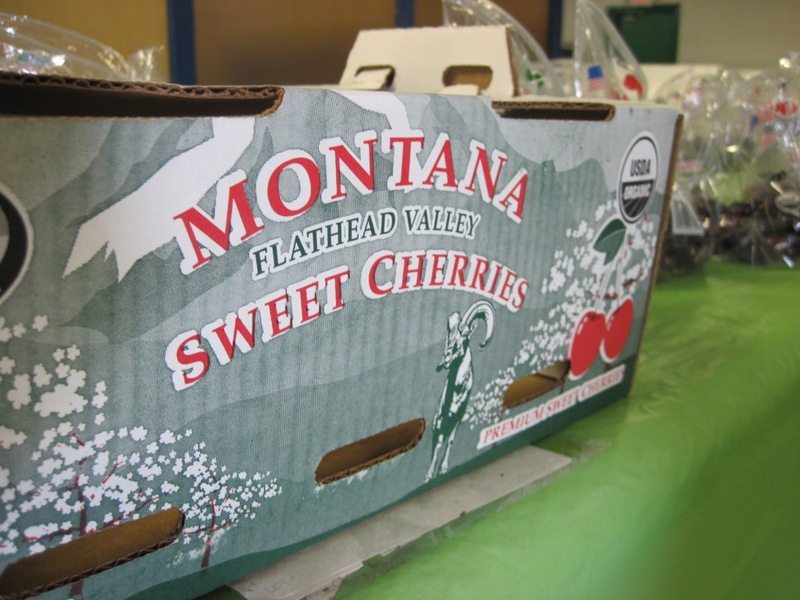 I think this box says it all: Yes, cherries are a sweet addition to our share this week. 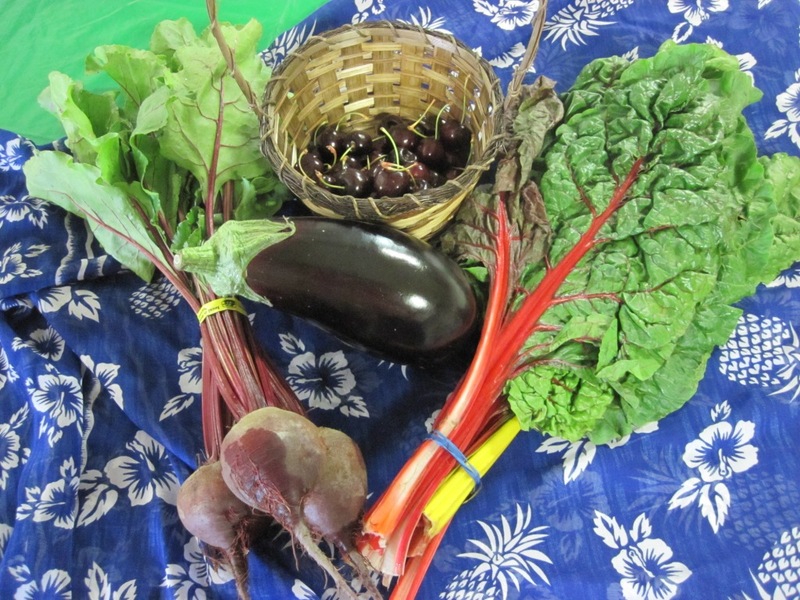 But lookie at what else came in our share today: eggplant, beets, and chard. I have the most awesome red velvet cupcake recipe that uses beets instead of an entire bottle of red food coloring. For non-beet lovers, this recipe is right up your alley because you can’t really tell there are beets in there! They are a cult favorite. Trust me. As for eggplant, I have used this amazing, yet simple, recipe for eggplant parmesan. The best part? There is no breading and frying of the eggplant. “What? !” you might ask. Just trust me on this. It’s delicious. Last summer I made this and served it over linguine. Super. Yum. How else might you use the eggplant? In the mood for Chinese? I made eggplant in garlic sauce last summer. It’s one of my favorite dishes now. Enjoy this week’s share and if you have any unique recipe ideas, let us know!